Is a 2% 30-Year Fixed Mortgage a Real Possibility? Week after week, mortgage rates continue to shatter records, and dip to levels no one thought was possible. It seems as if every month we have to revisit the conversation because what seemed like a bottom wasn’t. In fact, not too long ago a 30-year fixed mortgage in the 3% range seemed absurd. Now it’s the norm, and everyone seems to want better. This week, the hugely popular 30-year fixed averaged 3.53%, down from 3.56% last week, per Freddie Mac data. That’s a new all-time low. And the 30-year fixed has been below 4% in every week but one so far in 2012. So to say it’s been a good year for mortgage rates would be a massive understatement. By the way, the 15-year fixed also discovered new record territory at 2.83%, down from 2.86% last week. If you talk to most bankers, mortgage brokers, or anyone else who tracks the mortgage market, they’ll probably tell you to lock your mortgage rate and forget about it. At the very least you’ll sleep soundly at night, right? 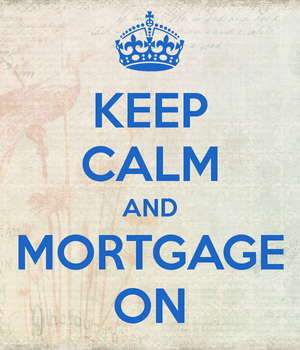 After all, mortgage rates are already at record lows, so why get greedy? But these same people would have made the same recommendation a year ago when mortgage rates were a percentage point higher. Heck, I was one of the many that figured rates were bottoming, or very close to a bottom. I’ve argued many times that the 30-year fixed probably wouldn’t go much lower than 3.5%, but I’ll probably be eating my hat now (if I owned one). I’ll admit I was wrong, but now I’m focused on how low rates can actually go. In case you didn’t know, mortgage rates follow the 10-year Treasury bond yield, which is currently around 1.50%. And because the 30-year fixed is pricing around 3.50%, the spread is about 200 basis points. If the yield were to fall to around 1%, then the 30-year fixed could dip below 3%, and homeowners would finally be able to get their hands on a 2% 30-year fixed mortgage. I don’t mean 2% literally, but something in the 2% range. So something around 2.75% or 2.875%, which would be nothing short of spectacular. The fiscal cliff refers to the end of some major Bush-era tax breaks and spending cuts, which some argue could lead us in to recession again. But it’s still very questionable – most believe things will be sorted out at the eleventh hour, with benefits possibly extended, as to not make a very fragile situation any more vulnerable. However, with all that uncertainty, demand for “safe” bonds could push that yield lower and lower, meaning you may have to refinance again in the near future if you want a lower mortgage rate than your friends. It’s not to say that you should cancel your refinance application today and wait for better, because as mentioned, we are in unprecedented times and you’ll certainly have a great rate either way. But don’t be surprised if mortgage rates continue to trickle even lower, as insane as that may sound. locked 3.5 on a super conforming with enough discount points back to me to truly cover all costs (and even pay a bit of my insurace / tax costs). This was a day after the QE announcement. Discount points are what you pay for a lower rate. You received a lender credit to cover your closing costs, meaning you accepted a higher rate in return.